Although any farm-kid will tell you that there are limitations to being tied to the land, I have always romanticized it. I love the stability and commitment to a particular place and community, the wonder of dark nights, without the nearest town encroaching on a view of the stars. Barn cats, chickens, and all manner of pets I didn’t have growing up. The sense of stewardship and neighbor, when convenience might be far away, is compelling. It makes me wish for a time when we are simultaneously more connected and less connected. The best memory I have on a farm and of this feast day was on a trip to my friend’s family dairy farm one weekend during college. It was a delightful visit to her small hometown, to be with her family, and to have a glimpse of the daily rituals of a life dependent upon the rhythms of the season. Obviously this meant being at work, early, having some downtime until midday chores, and then going out again in the evening as they put the farm and animals to bed. Having company on the farm, unaccustomed to these rituals, is probably equal parts comical, fun, and possibly even helpful. I imagine that’s the case anyway, when a child comes home from college and brings a fellow social work student. My friend gave me a tour of the farm she’d known since childhood. Her dad pulled us around farm-fields on an inner-tube behind their snowmobile. She tried to wake me for 4 a.m. chores (this visitor turned out not to be much help, a sleepy choice I regret). It also meant the blessing of the throats that Sunday. I hadn’t remembered participating in this tradition prior to my visit to Miesville in their beautiful, white, high-steepled country church. It was a small congregation of course, but they were committed to receiving the grace of this blessing, snow and farm chores be darned. I observed the priest makes a cross with two candles—blessed on the Feast of the Presentation—over the neck of each recipient. In some cases, the candles may be secured in a candelabra, tied with a red ribbon (symbolizing martyrdom), or simply held to form a cross. May Almighty God at the intercession of St. Blaise, Bishop and Martyr, preserve you from infections of the throat and from all other afflictions. So, I joined the faithful who’d arrived that February morning, baring their throats between lighted candles to receive the blessing. Subscribe so you don’t miss a blog post! There is, after all, some grace in being called out of ourselves into something we never imagined we might take part in. Public speaking, living in a cold climate, caring for a loved one who is ill, advocating for a child with special needs, leading Vacation Bible School, performing car maintenance, or morning chores on a dairy farm. 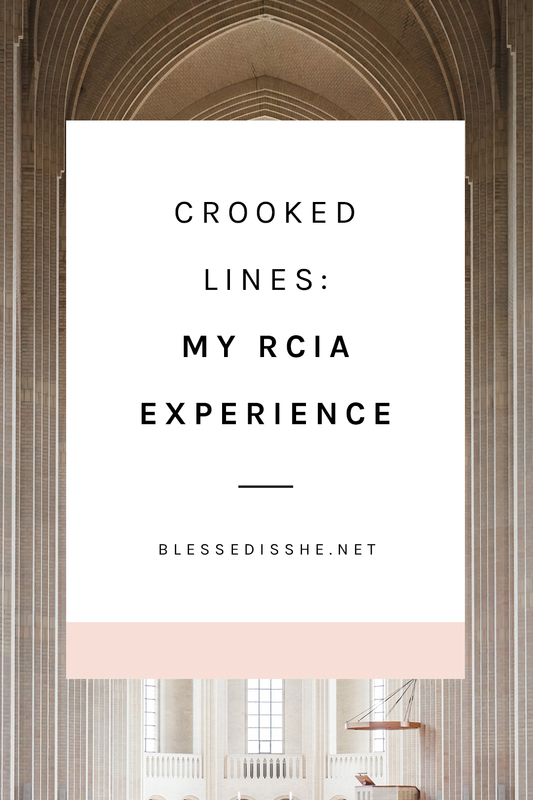 One day, circumstances call for it and our invitation stands before us, beckoning that we might know ourselves in a broader sense than we might ever have expected. I suspect God takes some delight in this. Likely all of us know this experience of becoming the teacher/confidant/nurse/advocate/pastoral presence that a situation calls for whether or not we were “ready” for it, or when our calendar prepared us for a U-turn. We rally, generally, for those we love. But on our best days, we rally for those we may not even know. And in a sense, this is the story of St. Blaise. Blaise was a physician early in his life. His particular calling was to provide physical healing for those in his community. Because of his devout faith and holistic nurturing of those in his care, he became known as a healer of many kinds—including spiritual. After the local bishop died, Blaise was chosen to be his successor. 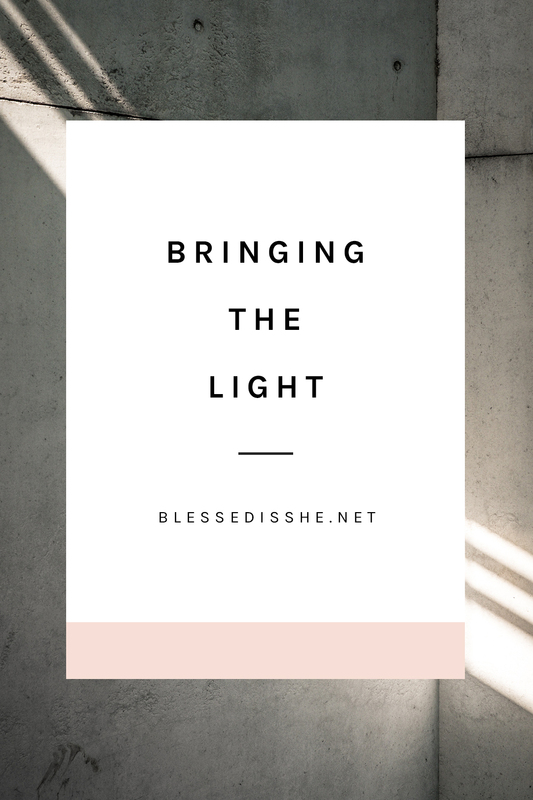 Rather than living out his days in a role he had practiced, perfected, and likely felt comfortable in, the Holy Spirit seemed to have a more imaginative take on the gifts Blaise would offer this particular community. In this light, the blessing of the throats makes heaps more sense. St. Blaise was martyred in 316 after being arrested for his Christian Faith. Legend holds that even on his journey to prison, he was asked to intercede on behalf of a woman whose child was choking on a bone, and the child’s life was saved. Blaise’s gift of bringing healing to those afflicted in a variety of ways—particularly afflictions of the throat—is helpful imagery in the unique and tactile blessing Catholics receive today. All of this points to the nature of our Creator who is actively participating in the daily lives and callings we experience; re-making the faithful into images that bear the imago dei, image of Christ, to the world. With confidence, and in the company of St. Blaise, would that our ‘yeses’ be bold (not sleepy), and our illusions of the shapes our lives might take, be colored by the One posing the invitation who is Ever Ancient, Ever New. 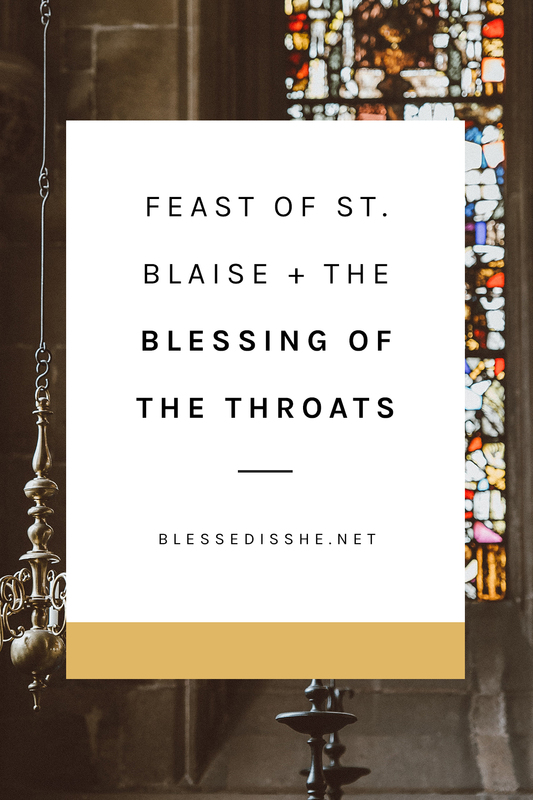 Have you ever received the blessing of the throats on the feast of St. Blaise? Will you receive it this year? 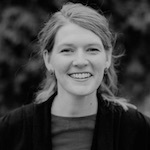 Katie Cassady is a regular contributor to the BIS blog. 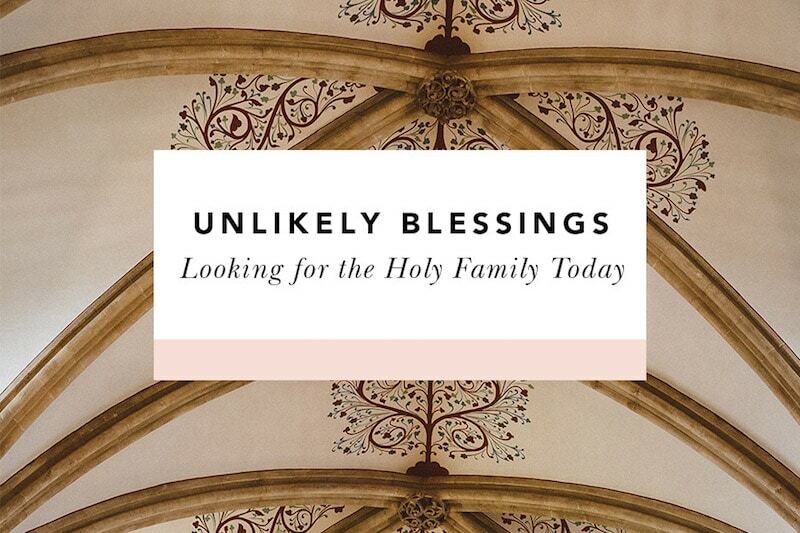 She is a wife and mom to two little girls in Denver, CO. Steeped in theological reflection, beekeeping and motherhood, she is appreciative of any and all wisdom she can glean from those living intentional lives of faith. Find out more about her here.